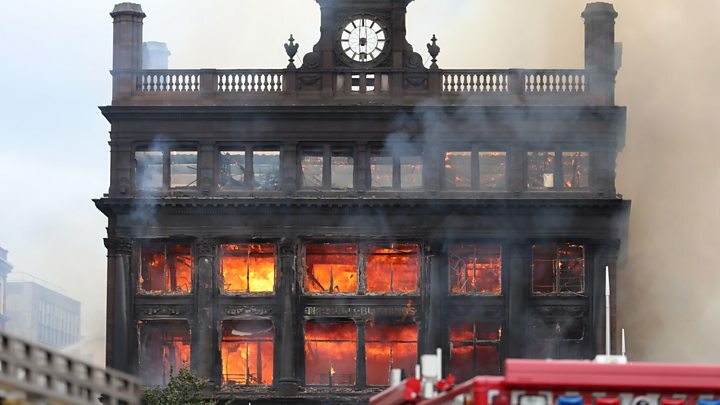 Primark has said it is exploring a number of options to enable it to trade in Belfast city centre "as soon as possible" following a huge fire that destroyed its flagship store. Hundreds of workers from the store attended a meeting on Tuesday with the company's management. The fire last Tuesday caused the store's roof and floors to collapse. No-one was injured. Primark said its staff were being paid this week and next week. "Our management team in Belfast is continuing to work very closely with our colleagues to ensure they are being supported during this time," it added. "We are working on finalising plans in the coming days and will communicate these directly to our colleagues as soon as possible. "Primark reiterates our ongoing commitment to the city of Belfast. "We are looking to be up and trading in the city as soon as possible and are currently exploring a number of options." The fire was extinguished last Friday, three-and-a-half days after it began. 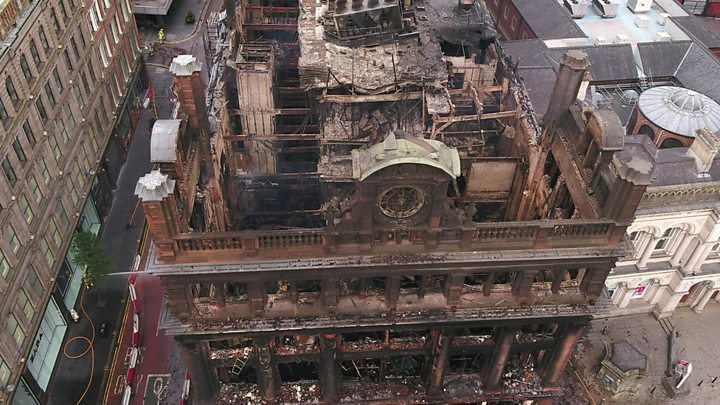 The charred sandstone facade is all that is left of the historic Bank Buildings at Castle Junction. 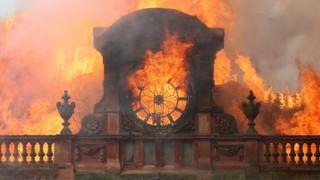 The fire service said on Friday evening that the blaze had been put out after what had been a "complex operation". The Primark store was being refurbished and extended at an estimated cost of £30m. Firefighters were able to prevent fire spreading to the extension at the rear of Bank Buildings.